He had all the characteristics that led to Benjamin Franklin invention: Curiosity, thought, planning, persistence, and an interest in how things in the world work are some attributes. 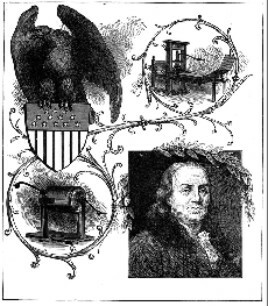 Benjamin Franklin invention carried those attributes and more. He was famous for being a scientist, an inventor, a statesman, a printer, a philosopher, a musician, and an economist. And for a bald guy, he wasn’t too bad with the ladies (but this page is about inventing). It was his ongoing curiosity about life - as well as his own and his families physical needs - that led to some of his most famous discoveries and inventions. Benjamin Franklin invention is often touted to be the discoverer of electricity - but that is a misnomer. Franklin investigated electricity. 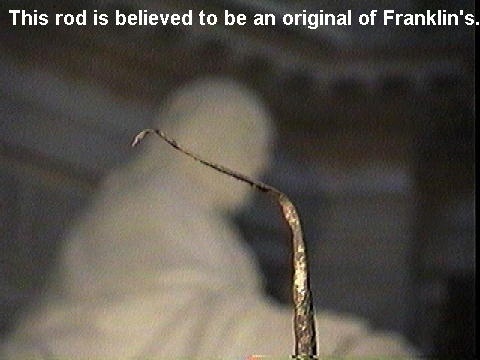 In his writings, Franklin indicates that he was aware of the dangers and offered alternative ways to demonstrate that lightning was electrical, as shown by his use of the concept of electrical ground - from which he invented the lightning rod and lightning bells. When Franklin did perform his well-touted experiment with a kite and key, he did not do it in the way that is often described - flying the kite and waiting to be struck by lightning (as that would have been very dramatic - but fatal). Instead he used the kite to collect some electric charge from a storm cloud, which merely implied that lightning was electrical. Not so much Benjamin Franklin invention - but Franklin scientific thought process. He suspected that lightning was an electrical current in nature, and he wanted to see if he was right. One way to test his idea would be to see if the lightning would pass through metal. That was Benjamin Franklin invention. He decided to use a metal key and looked around for a way to get the key up near the lightning. As is told, he used a kite, with a metal key attached to the (non-metal) line to prove that lightning is really a stream of electrified air. His famous stormy kite flight in June of 1752 proved his point and led him to continue to play with electricity as a hobby. Benjamin Franklin developed many of the terms that we still use today when we talk about electricity: battery, conductor, condenser, charge, discharge, uncharged, negative, minus, plus, electric shock, and electrician. Franklin recognized that electricity was dangerous - but others who experimented at the same time, getting the same results and more, were not so careful - some of them were too close to the metal and lost their lives in a lightning zap. Let’s look at some of the things Benjamin Franklin did invent instead of just study and play with. He had many interests and talents that drove him to invent. And he used practical day to day experience to generate some of his ideas. For example, Benjamin Franklin had to have glasses in able to read. But he got tired of putting them on - then taking them off to see across the room - then having to put them on again. So he had two pairs of spectacles made - one for reading, one for far -sight - cut the lenses in half - and paired the halves in a single frame. Voila - the invention of bi-focals. Benjamin Franklin was able to see both near and far with the same glasses. One Benjamin Franklin invention. Colonial America warmed their homes with fireplaces - which were inefficient and downright dangerous. 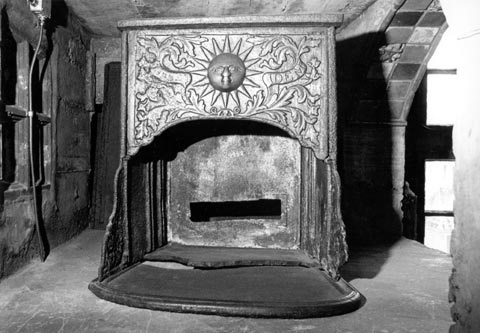 Benjamin Franklin came up with the Franklin Stove, which is still in use today. The Franklin Stove uses less wood and the firebox is enclosed for safety. Another Benjamin Franklin invention. Benjamin Franklin was one of our first Postmasters. As postmaster, Ben had to figure out routes for delivering the mail. He went out riding in his carriage to measure the routes and needed a way to keep track of the distance. 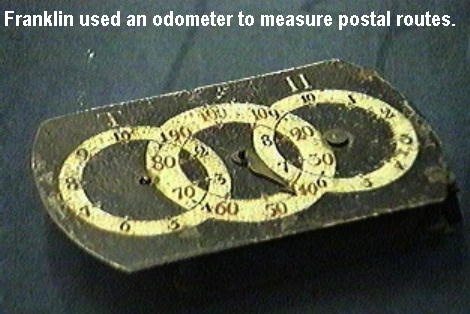 He invented a simple odometer and attached it to his carriage. Benjamin Franklin - among all else - was also a musician. He played several instruments including the violin, harp and guitar. His great interest in music brought him to invent the Armonica. That’s Armonica - not Harmonica. The Harmonica was to come much later. This instrument was played by rubbing moistened fingers on the edges of tuned glasses (like wine glasses). You may have done this yourself or seen someone do it in a variety show. 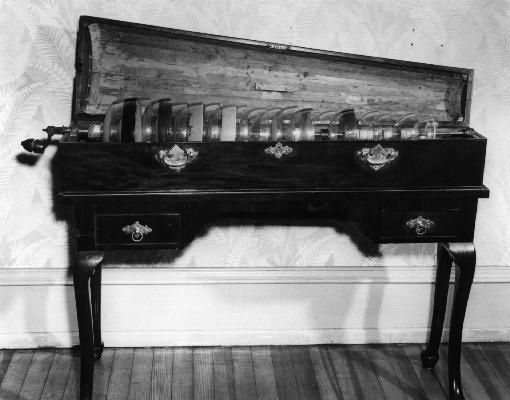 Franklin made a full blown (no pun intended) instrument. A musical Benjamin Franklin invention. Benjamin franklin took those words to heart - and did both. He wrote. He did things worth writing about. And he mastered many areas of life that other mortals don’t even think about. One other thing. Although Benjamin Franklin, as one of our founding fathers, made sure that patent and copyright protections were written into the United States Constitution - he refused to take out patents on any of his inventions - leaving them to the public good. Truly, one of America’s great citizens and thinkers.